According to the legend, during his journeys around the Mediterrean Sea, the Greek demigod Hercules landed in a wild land, a swampy region called Velabrum in proximity to the Tiber River (in the area of the future Rome). In this walking tour we'll follow the footsteps of Hercules, the first tourist in Rome. 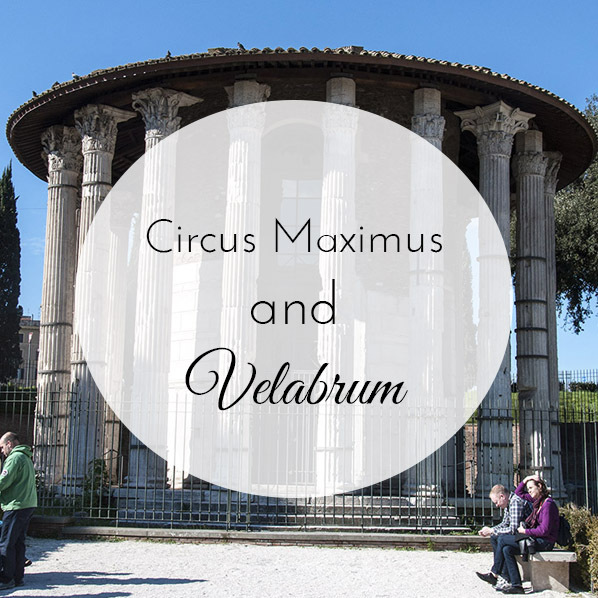 we'll start from the Circus Maximus, the biggest circus of the Ancient Rome. Admiring the shrine of Hercules Victor (the so-called temple of Vesta), the Temple of Portunus and the Shrines of Forum Olitorio, we'll talk about local gods and goddesses and their strange rituals. We'll visit the narrow undergrounds underneath the Basilica of San Nicola In carcere and the Ara (altar) of Hercules in Santa Maria of Cosmedin. if you are brave enought...we can line to put our hand in the Bocca della Verità (Mouth of truth): according to a legend, this marble disc is a "lie-detector". The big face is a monster ready to chop your hand off, if you're a liar..
Meeting point: At the Circo Massimo subway exit. Details will be provided at the moment of the booking. - RAIN POLICY:-This tour is totally outdoor. Tour is provided even in case of light rain since we can use umbrellas and raincoats. In case of heavy showers we can choose together to change the itinerary or to reschedule the tour (if possible). - we'll visit two underground sites with narrow galleries. Avoid if claustrophobic.